3/24/2015 Great company! This is the 3rd time I've ordered and I'm always happy with the outcome. Great prices and product. Click here to read hundreds of reviews like this one. Free Bonuses - Order Now! Fantasy Futons & Futons.net is a family owned and operated business located in Arizona since 1982. We were one of the first online futon stores and started our website in 1998. We are a The Futon Experts, and have published many futon related articles. To learn about futons, click here. We sell Quality Futon Covers, Futon Frames, Futon Mattresses, Bedding and Duvets, Window Treatments, Fabric, Cushions, Pads, and Platform Beds, and other related items. We also carry steel Hide-A-Beds, futon frame parts and hardware, waterproof, mite, and bed bug covers, such as our Bed Guard Mattress Encasement's, and our Plush Guard Fitted Sheet or Encasement Style Mattress and Futon Protectors, Bean Bags, Snuggle bags, rattan furniture, Mamasans and Papasans, Prairie Rugs, futon grippers, ZZZ chests and much more. We have knowledgeable representatives that are willing to help you make your selection. Just call us toll free at 1-888-6-Futons. 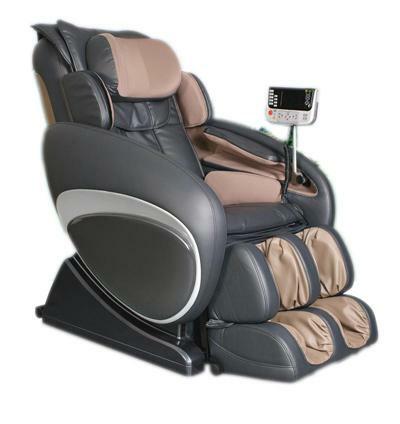 We now offer the complete line of Osaki Massage Chairs, and sell them for the lowest possible price. These are the #1 rated massage and therapy chair, and they are recommended by doctors all over the world. They are delivered to your home for free, and if you live in the greater Phoenix Metro Area, we will send our authorized technicians to your home to personally set up your chair for a very reasonable fee. See our selection of Futon Covers, and browse our Bargain Basement, or our Newest Fabrics. Be sure to check out our new Organic Mattresses. Either repair your old Futon frame with a few new Futon Parts or check out our selection of new Futon Frames. Next call us for some personal help choosing just the right Futon Mattresses. Don't forget to get either some Futon Grippers, or Futon Grip Strips to keep your new futon from slipping and sliding away. If you have kids, pets, or, dust mites, or Bed Bugs, pick up a Protect A Bed bedding protector, or an AllerZip, or a Bed Guard, or Plush Guard. They'll save you from costly accidents. We stay up on the latest environmentally friendly items like Prairie Rugs which are beautiful throw rugs, and we have a line of Platform Beds made in America. Also check out the new ZZZ Chest which is like a Murphy Bed without the cost or the installation hassles. We'll be adding a new line of Natural and Organic products in the near future. We also make many Custom Items, like Custom Cushions, Seating arrangements, and Custom Futon Mattresses in almost any size or shape for cars, boats, motor homes, campers, trailers, Sleeper Cab Mattresses for semi's, and cushions and beds for airplanes. We have hundreds of thousands of Happy Customers. Read some of our Customer Feedback. You'll find our online ordering process to be very easy, but if you're not comfortable entering your private information online, you can pay with PayPal, or call us and place your order over the phone. If you're interested in hearing how we we got started, read our Company History, it's quite interesting. We work with many of the top American manufacturers in the futon industry like Otis bed, Gold Star, Strata, Ramblin Wood, Dapwood Furniture, SIS Covers, Cotton Belle, Lings Designs, Elite, Lifestyles Furniture, Lifestyles Covers, Handy Living, Pacific Manufacturing, Atlantic Futons, The Futon Place, Gold Bond, and many more. Times are tough, and we carry a large selection of Futon Hardware and futon repair parts. You can buy a few parts and fix up your old futon frame for a fraction of the price of replacing it. Most Futon Stores won't sell hardware because they want you to just throw your futon away and buy a new one. We are in the same boat as most of you, and we're trying to scrimp and save every cent we can. We carry the barrel nuts or cross dowels, bolts, oblong glides, carriage blocks, rollers, plastic rollers, nylon rollers, plastic fittings, angle brackets, stretcher rails, cross rails, seat decks, back decks, slats, slat supports, stress supports, screws, nuts, brackets, arms, swing blocks, dowels, clevis pins, cotter pins and other miscellaneous parts that are obsolete. Call us or E-mail us if you have any questions about anything and you'll get a very prompt and helpful answer. Experience the ultimate in futon online shopping with Fantasy Futons' extensive stock of futon frames, futon mattresses and futon covers choices and related supplies. We are proud to offer an excellent selection of futon hardware for futon frame repair and replacement in addition to new solid hardwood and metal futon frame options. Our online gallery of futon covers is packed with over 2,000 designs to appeal to your particular style. But most of all, we're sure you'll love our low prices and free shipping on all of our products including our inexpensive futon mattresses, rugs, bean bags and more. Don't forget our Platform Bed Options as well. You'll have enough cash to furnish an entire room or two! For assistance on how to shop for our many products, check out our articles library.